• Do I nest the containers? • Do I store each container with their lid? • How many plastic containers should I keep? 1. Stack all lids together. For easy retrieval, organize lids by size, i.e. keep similar sizes together and stack vertically inside another container, or store-bought lid organizer. 2. Always return lids to the same place and in the exact location on the shelf or inside drawer. together. Flat bottom storage bags would work well for this option. 4. Store lids inside a lid holder that is attached to the inside of your cabinet door. 5. Nest containers, whenever possible and train other family members to do the same. 6. Donate some. If you keep more containers than you need, sometimes the problem is that you simply have too many containers than you have the space for. 7. If you have the space, instead of storing on a shelf, try storing the containers in a deep drawer. 8. Avoid storing containers too high. 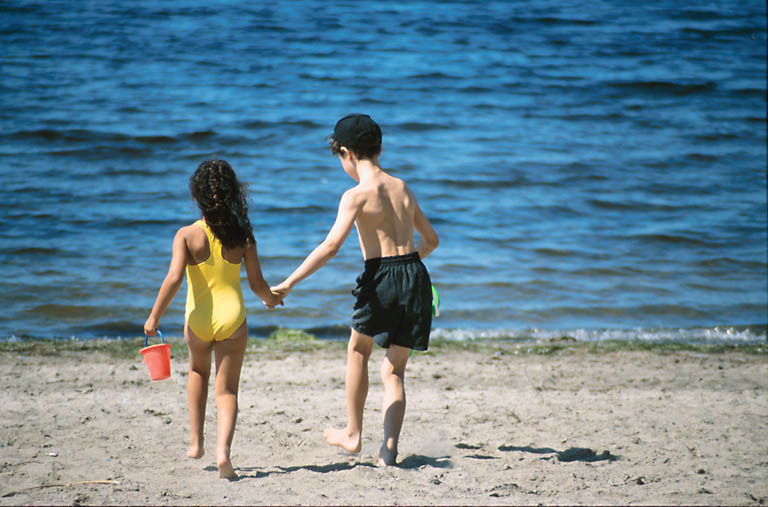 You will have more difficulty keeping them organized. 9. Avoid using random containers, like margarine tubs and containers from take-out restaurants, because you will eventually run out of space, unless you purge regularly. 10. Go through your storage containers and lids periodically, and get rid of what you don’t need. Finally, if you stick to one brand and type, it will be a lot easier to keep them organized, since they generally nest well and have similar lids for easy stacking. Now, plan a day and block of time to get those containers organized! Feeling disorganized? Stressed? 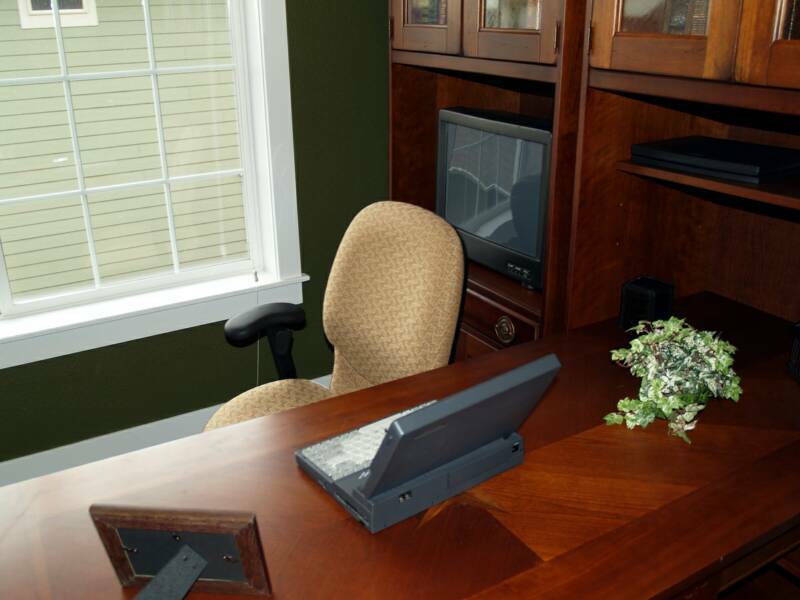 Clutter and disorganization can add a significant amount of stress to your life because it mentally weighs you down. Then there are the day to day challenges of being disorganized, which in many cases include missing important papers, past due bills, forgotten appointments and procrastination. A professional organizer is trained to understand why you hang on to your clutter and will be unbiased and non-judgmental. They will work with you to, not only free yourself of the clutter, but to also help you to get back to living your life again. Contact us to learn how we can help. Copyright 2009-2018 by Jacquie Ross. All Rights Reserved. 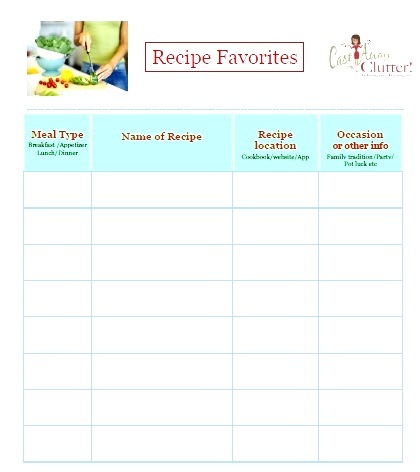 FREE Recipe Favorites Sheet (PDF) - A quick reference guide to the meals you and your family love. Do you make meals for awhile then forget about them? Keep a record of meals that you all love, and then you can mix them up a bit, while never forgetting the ones you haven't made in awhile. It is proven that people who eat more at home have healthier lifestyles, and save more time and money. Download your free Recipes Favorites meal idea sheet here, and don't forget to also sign up for my free organizing tips here.